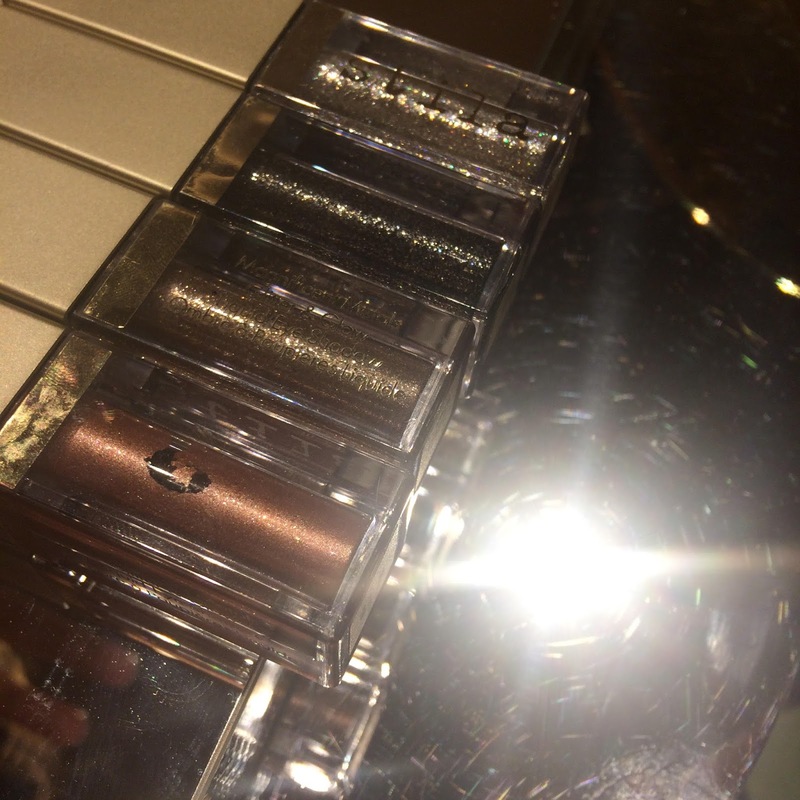 The Magnificient Metals Glitter and Glow Liquid Eye Shadow features eight shades (£23 each) and ranging from diamond silver to rose gold to black. Some of the shades are slightly more pigmented as a base colour with some sparkle whilst others are incredibly glitter packed. Worn as an accent, in the inner or outer corners of the eye, centre of the lash line or swept across the whole lid, I can confirm that these liquid eye shadows look A-MAZING. They can be worn with eyeliner and there's no transfer to your upper lid when they are dry. The glitter stays in place really well too. 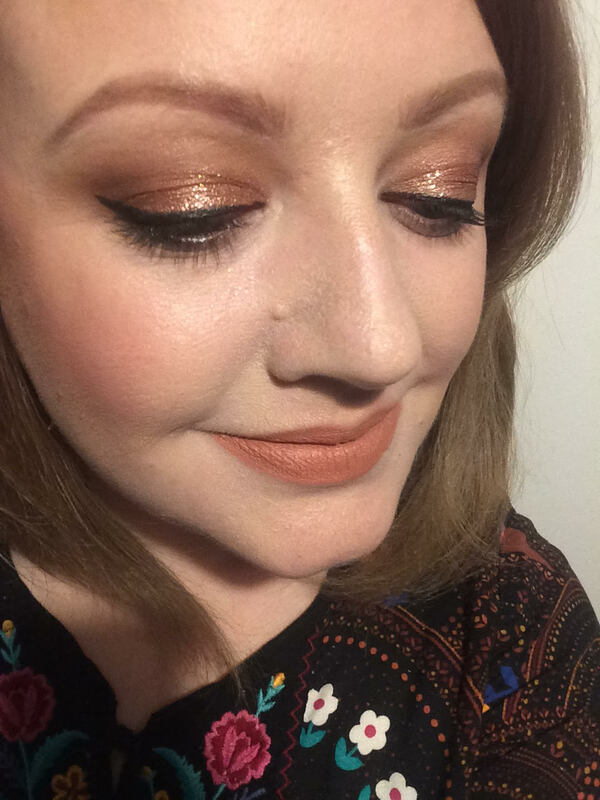 I have the Rose Gold Retro and Smouldering Satin shades and love them. 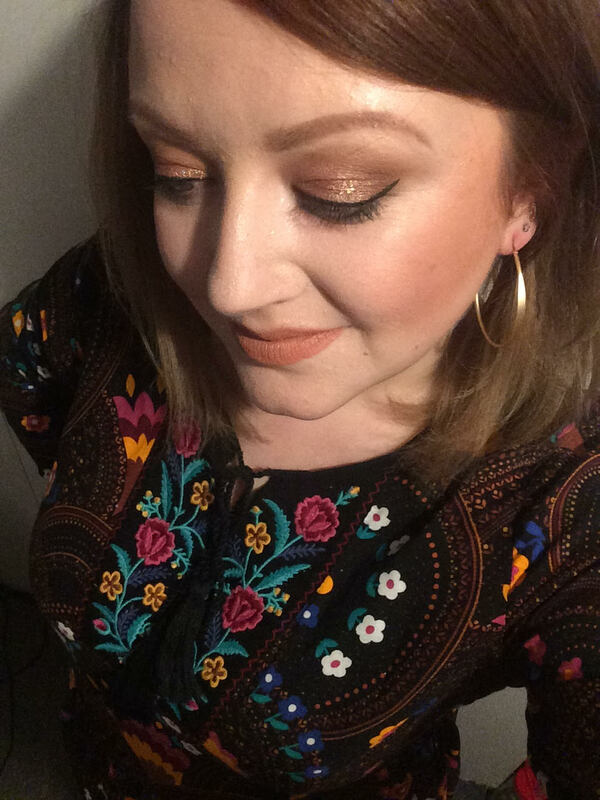 I adore rose gold so this was a must, and it's a really different kind of tone for me to wear (great for Spring) whilst the satin is a tad more understated and versatile. 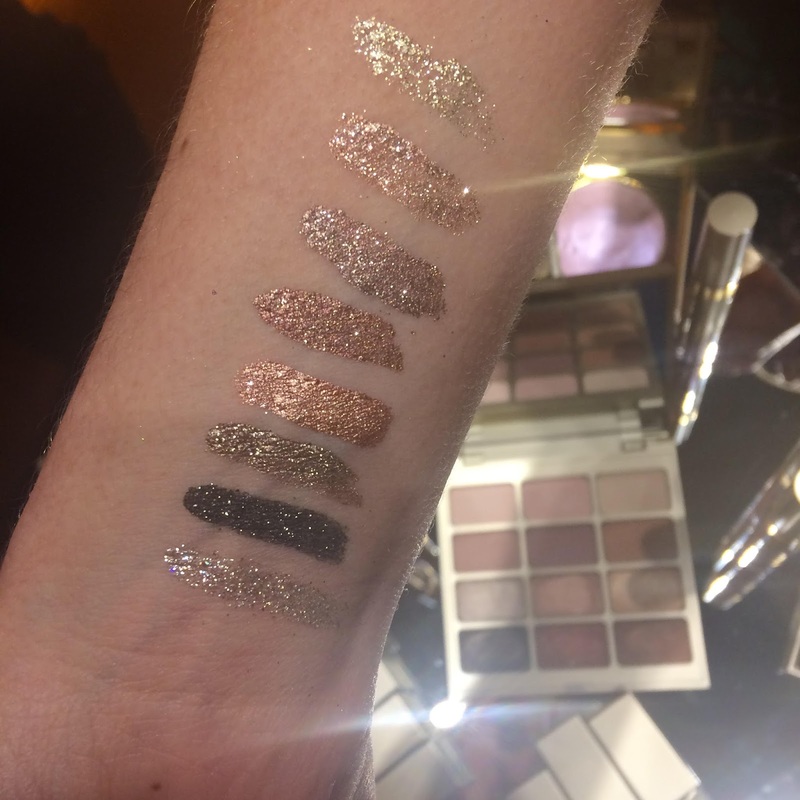 These products are really different and I think they're a great way to transform a look from day to night with a simple slick of glitter. Also new from Stila is their Heaven's Hue Highlighters, which were only available as a trio but can now be bought in separate compacts (£28 each). 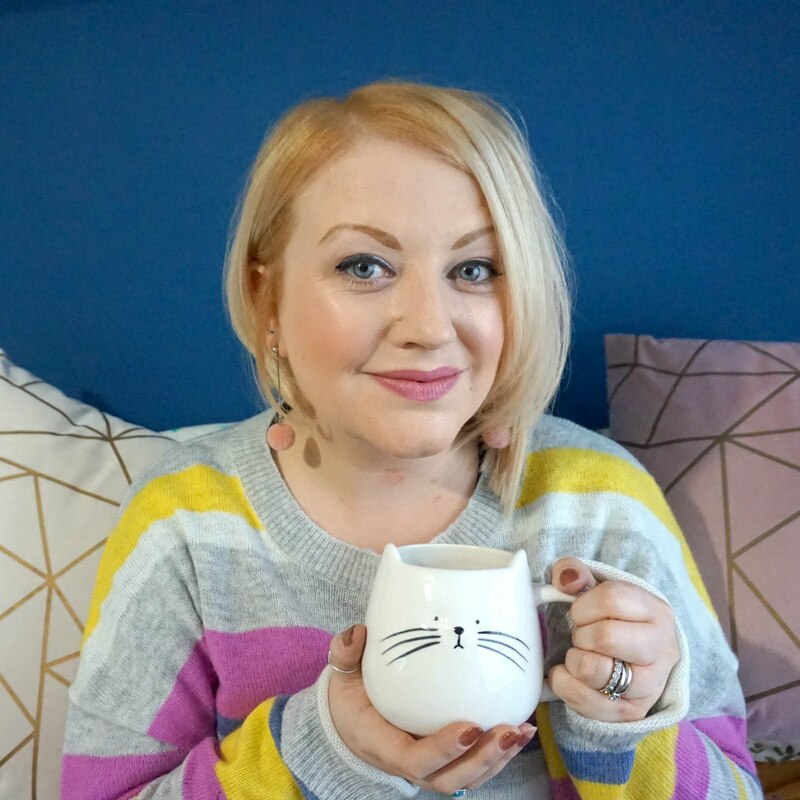 I have the Kitten shade and it is a dream. The texture is so light and velvety, it sweeps on smooth and a little goes a long way. I adore the eye shadow shades in the Eye and Cheek palettes, so the new Matte and Metal Eye Palette (£39) is next on my wishlist. Each column of shades are designed to work together as are each row, which is a really clever idea, and they are super pigmented and long-lasting too. FYI, I added Dolce to my personal collection and love them all, but my go-to shade is Baci, which I picked up in as a mini in a gift set before Christmas (still available) and it's available in full size too. I'll be sharing some more faves soon. 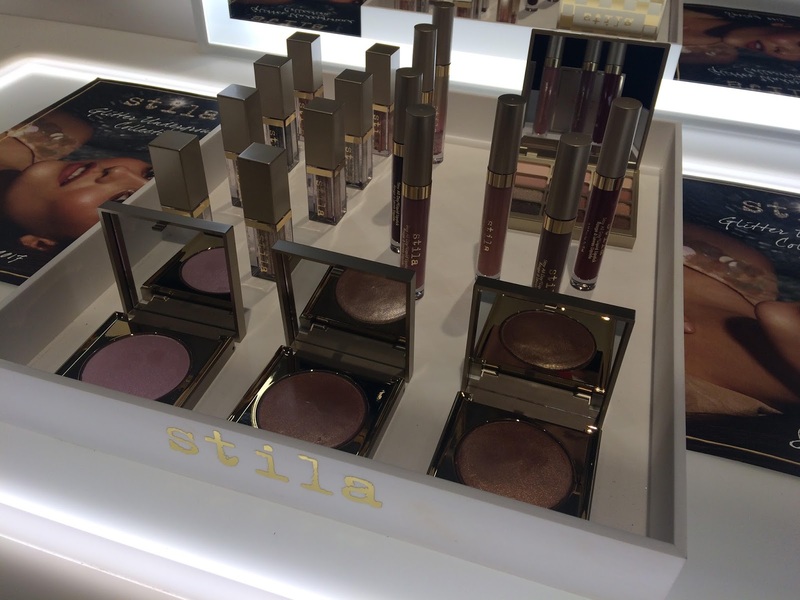 * I was invited by Stila to preview the new collection and received a couple of complimentary products, but some mentioned I just had to have and bought myself. All opinions my own.